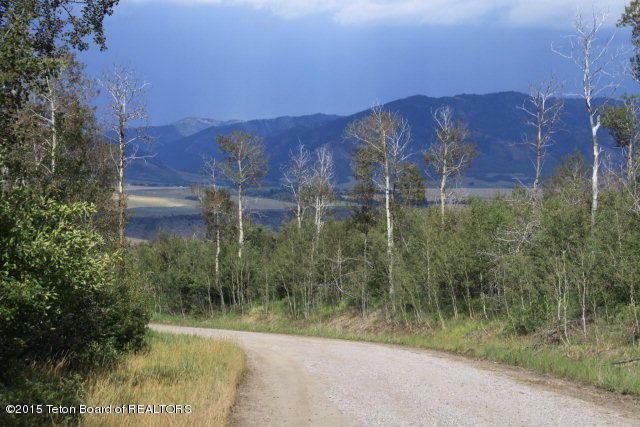 Beautiful 4.18 acres heavily wooded in conifers (Douglas Fir) and Aspens situated upon an east facing hillside in Conant Valley, Idaho. Located midway between Idaho Falls and Teton Valley in Swan Valley area. Year around access, forest access and only 5 minutes to Snake River boat ramp. This lot straddles a wooded draw which appears to have difficult access, YET there is an easement from the upper access road with surveyed driveway easement (SEE document tab providing relatively flat approach driveway which winds through wooded approach to upper portion of the lot. When building a home, access from upper road easement, clear some trees and situate the home overlooking the draw which bisects the lot, with view over the valley below. NOTE:For CCRs, contact listing office.